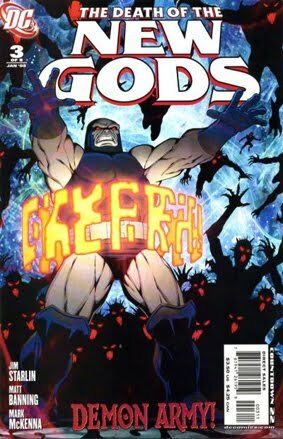 • DEATH OF THE NEW GODS #3 "Armageddon Tarantella"
• PLOT SUMMARY: The carnage of the Fourth World continues as more New Gods die in this COUNTDOWN tie-in! Who will be the next victims? Who — or what — is responsible for so many deaths? How is Darkseid connected to them? And will Superman, Orion and Mr. Miracle be able to uncover Darkseid's schemes before it's too late?